This week I have a finish to report. Pfefferneuse is done. This is my UFO for December, so I am ahead with this one. But still have October (Lilibet's Garden) and November (Survivor) to complete. Check this out. 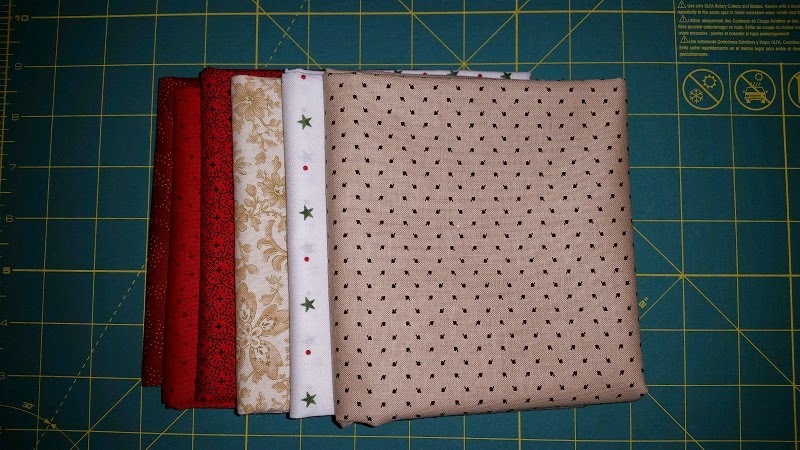 I really love the pink and brown, and all the fabrics came from my stash. 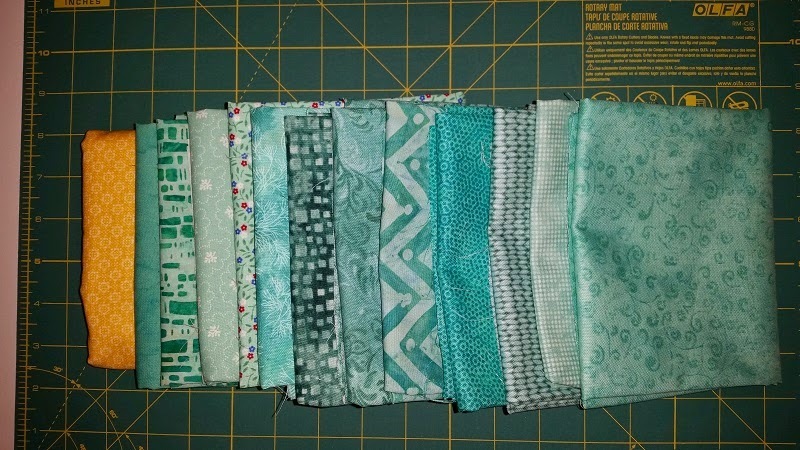 Mostly leftovers from the Dear Jane Quilt. 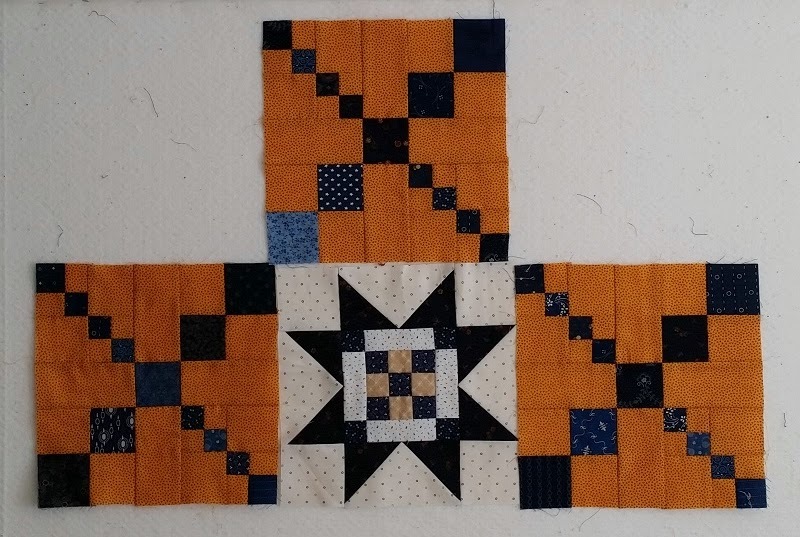 This one I am going to try to quilt this month. Grand Illusion. 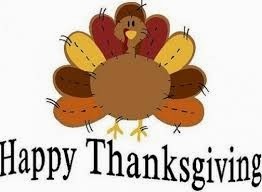 The first clue will be out right after Thanksgiving. I had the greens, pinks, neutrals and blacks, but needed the constant yellow and the turquoise blues. So after a quick trip to Rosie's I now have everything needed to get started. 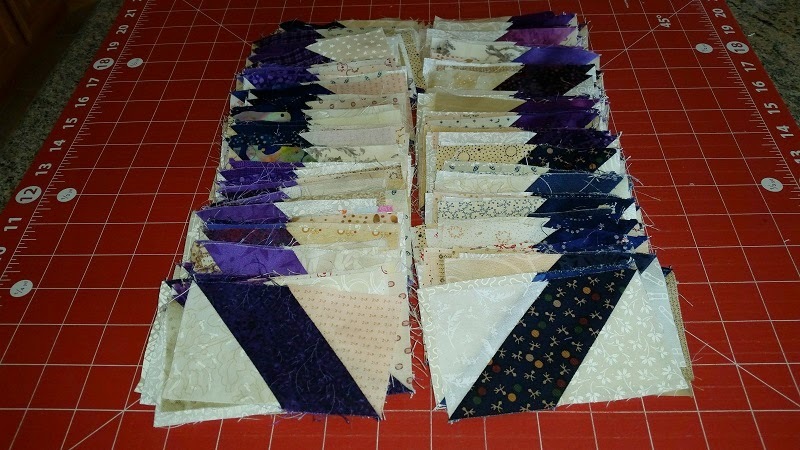 If you have not done one of Bonnie's Mystery Quilts, I would recommend that you check it out and see if you would like to play along. 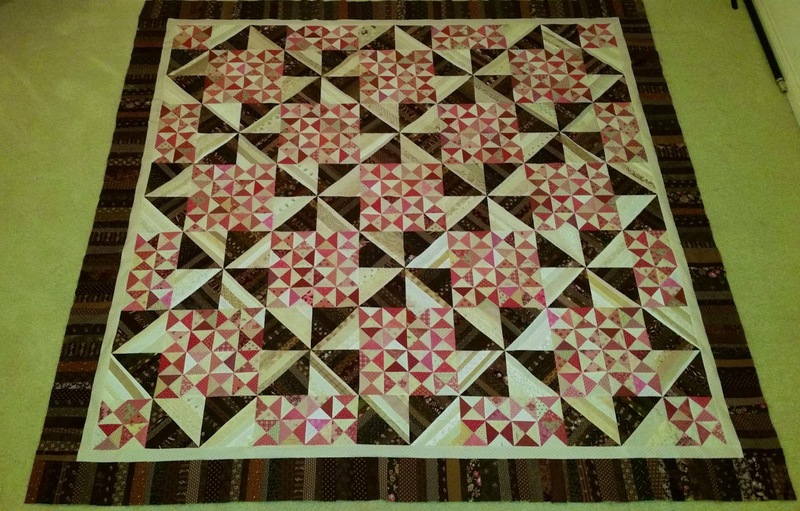 I also added a couple of neutrals and some reds for a quilt I will be making next year sometime called Lady of Lake Erie. Here are the current numbers!